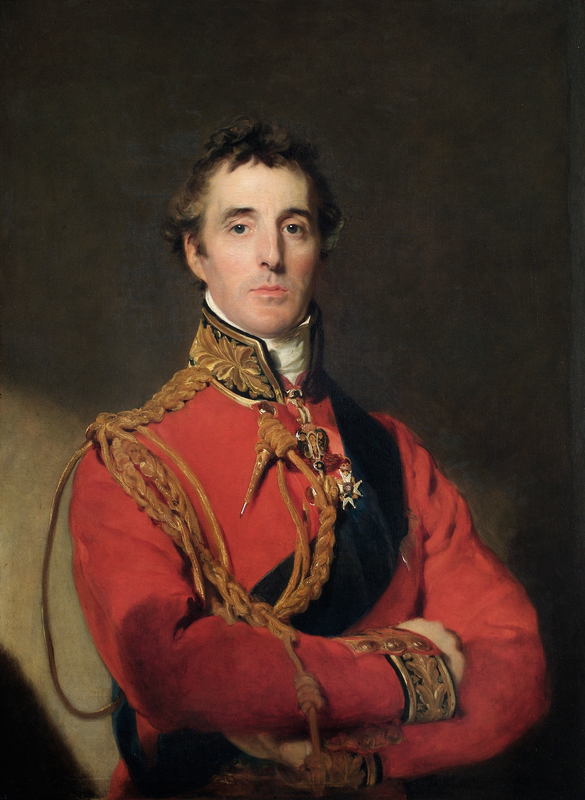 The British would send more forces to Portugal under General Wellesley, the Duke of Wellington (1809). They would lead those fighting against the French in a much more coordinated manner by creating strong defensive positions against the French. They also used scorched earth policies to hurt the French with lack of supplies, which would cause the French military to starve in the coming weeks. Once the French seemed weak enough, the British led an offensive which pushed the French military out of Portugal in 2 major battles. These British victories would unite all Portuguese and Spanish forces under them in the most unified military that had been seen on the Peninsula. The first of the major battles would turn into a major gunfight where the French generals would refuse to allow anyone to retreat. The French generals started the Battle of Albuera (1811) by beating anyone who retreated, but General Soult was forced into a retreat, claiming there was “No beating these troops.” This was a small battle in terms of size but was among the bloodiest of the war in proportions, so both sides would try to claim victory for propaganda purposes. To the British, this showed that the Spanish could be trusted in battle and gave them hope for victory in the future. The British would go on to win the next few important battles, and the legend of the Duke of Wellington would start to grow as he won more often. Wellington would defeat a French army in 40 minutes due to his tactical skill in the Battle of Salamaca (1812). This loss would cause many of the French to lose their confidence in the victory and they abandoned the capital of Madrid, including King Joseph Bonaparte. The British attacked the retreating French army in the Battle of Vitoria (1813) and routed them, causing the French to abandon the idea of holding Spain. This battle would become the inspiration for Beethoven’s Opus 91 (the Battle Symphony). could do is defend his position against the British, but was forced to retreat because his troops were on the edge of mutiny. The British wisely decided not to continue their continue their attack because the Spanish troops were plundering French civilians around them. The worry was that these negative actions would unite the French against them, and didn’t want to united them just as the French were unraveling. The Peninsular War would end with the Treaty of Valençay (1813) which was also caused by Napoleons loss in Russia (more on that later). He was so worried about attacks from the east that he figured that creating peace in the west would help strengthen his position in power. The deal hinged on Napoleon releasing Ferdinand from prison, but the Spanish had no intention of quitting the fight until he was released, so the fighting would continue. The victory in this war was a huge deal to the Spanish, but never became all that important to Napoleon. Many historians believe the loss in Spain led directly to the downfall of Napoleon, being that he had won everywhere else. The war forced him to split his army into 2, and made it nearly impossible to fight all of the people he was against. King Ferdinand VIII revoked all the changes that had been made in his absence, restoring the monarchy and putting all liberals in the country to death. On the flip side, this war destroyed the social and economic fabric of Portugal and Spain over time, and led to an era of instability that started over 40 years of political fighting.